"Smart cities" are a hot topic in both sustainability and urban planning circles alike these days, but what about a "smart nation"? Singapore hopes to be the first. While technically a city-state — being both a city and sovereign nation — Singapore is embracing many of the same smart city techniques as cities across the world. Globally, cities are experimenting with smart city technologies to tackle issues such as waste collection and traffic light management, but this Southeast Asian island nation is focused on two core global challenges: urban density and an aging population. Singapore is the world’s third most densely populated nation, and it’s increasingly getting older — by 2030, the number of elderly in Singapore is expected to triple from 300,000 to 900,000. Naturally, this likely will create challenges that add pressure to healthcare, transportation and environmental sustainability — including energy, food and water. 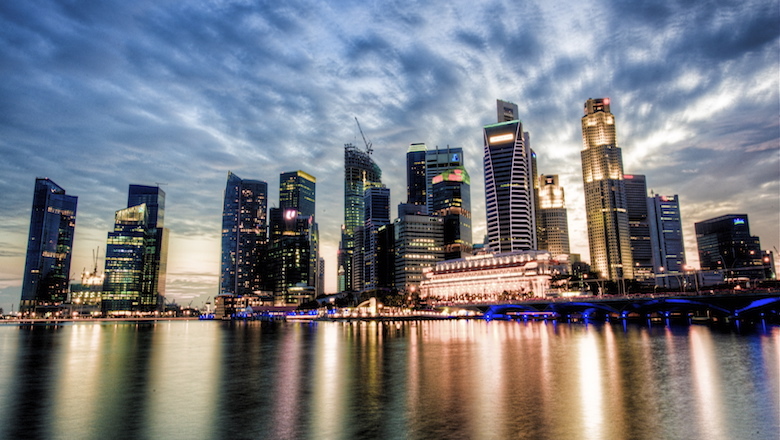 “Singapore is pushing toward becoming the world’s first Smart Nation, one that will improve the quality of life for individuals and business opportunities for enterprises,” Singapore’s Infocomm Development Authority (IDA) said in a statement. “In a Smart Nation, we also seek to create an anticipatory government that can better serve our citizens and better use technology to enhance public services," empowering citizens, as well as businesses, to be more participatory in engaging government, and to make more informed decisions and meaningful choices in their daily lives. Besides further developing its capabilities in pervasive connectivity, and building new infrastructure and common technical architecture, IDA also is developing the Smart Nation Platform, which will be built based on a systematic premise to enable greater connectivity, better situational awareness through data collection, and efficient sharing of collected sensor data. IDA has established the objective to enable and provide a “speedy, secure, cost-effective and scalable nationwide communication infrastructure.” The proposed plan involves extending connectivity through the progressive deployment of Above Ground (AG) Boxes and technologies from a Heterogeneous Network (HetNet). AG Boxes will provide a ready-built common infrastructure for sensor deployment by supplying points to access fiber-optics connectivity and power. IDA says this reduces the need for unnecessary groundwork, which can reduce deployment time and cost. These boxes will be installed in common outdoor areas where there is demand for sensor-based technologies, such as bus stops, parks and traffic junctions. HetNet is expected to allow for more optimal use of wireless spectrum by allowing devices to switch seamlessly between various types of wireless networks. To realize the full potential of what HetNet can offer to citizens, IDA says it will be conducting HetNet trials in conjunction with the industry. The data can then be analyzed to generate the relevant insights in order to formulate timely and appropriate plans and decisions that result in more responsive, even anticipatory services for the citizens. IDA already is testing a sensor-sharing network and platform at the Jurong Lake District test-bed — the results from this will be adapted for further deployment in the smart nation efforts. Singapore’s smart nation activities are expected to help foster innovation in the business community through more conducive and networked environments from which to do business. It also will provide useful data sets for businesses to improve their operations, and create opportunities to innovate and build new services for citizens. Likewise, this will enable new market possibilities such as through new infrastructure locations for connectivity. Citizens are expected to benefit from greater citizen-centric services. Through better understanding of citizens’ needs and expectations, an anticipatory government will be able to serve citizens better through policy planning and creation of citizen-centric services, IDA says. At the individual level, improved connectivity and access to greater and meaningful information will enable citizens to make better decisions, be it for transportation, health and other services. At the community level, the access to rich data and innovative products, suggestions and ideas can help create actionable solutions that can benefit society as a whole. The initiative also may benefit public agencies by improving efficiency, including minimizing the duplication of efforts and disruption to citizens, as well as catalyzing rollout of systems where they are needed, such as at the street level, or to transportation or security resources.